Guylande left home at a young age. While she was studying to be a lawyer, she saw poor children who weren’t allowed to go to school and had to work as domestic slaves for other families. She decided to do something about it, and started the organization Zanmi Timoun, Children’s Friend. 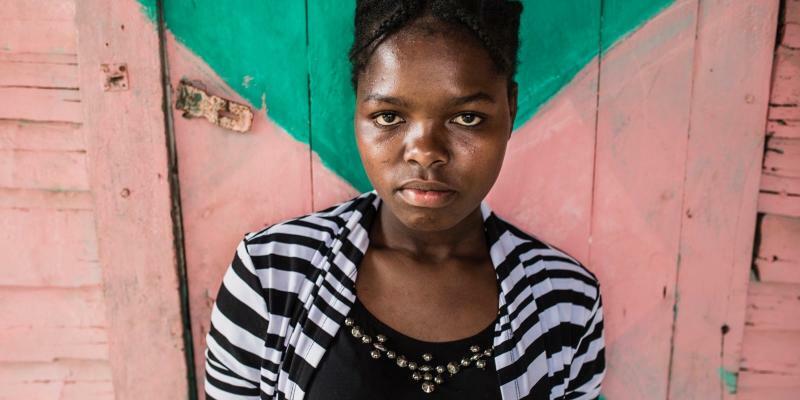 When Guylande Mésadieu was about to start high school, her dad told her she’d be moving to Haiti’s capital, Port-au-Prince. “Here’s your school uniform and a bag of clothes,” said her dad. “But where am I going to live?” asked Guylande. “We’ve arranged somewhere for you to live,” replied her dad. Guylande was used to this. Her parents made most of the decisions. She used to compare her dad to a gen­eral. His word was law. When she was eight years old, he decided that she was to go to school in another village. So when her parents said that it was time to leave home, Guylande did as she was told. She travelled from her home village up in the mountains to one of the suburbs of the capital. In the capital she came across the kind of poverty that she recognised from home, but there were also people here who didn’t have jobs and children who weren’t going to school. The children would hang out on the streets, begging, stealing and getting into fights. Many children were living with other people, where they were forced to clean, do the laundry, cook, do the shopping and take other children to school. After high school, Guylande began studying law at university. She got her friends together for a meeting. They discussed ways that they could help the children where they lived. They decided they would identify the children in the residential area who weren’t going to school. They asked the children why they weren’t in school. Most said that they lived with families that weren’t their own. Their own families couldn’t afford to feed them. They had to work for other families instead in return for food. There wasn’t any time to go to school. Guylande suggested that they bring as many children as they could to her house for a meet-ing. They would ask the children what they wanted to do. Almost 50 children came to the first meeting in 2001. They gathered together in the largest room, which was the bedroom. The children sat on the bed, on chairs, on the floor and leaned against the walls. “What would you like to do to improve your lives?” asked Guylande. The children promised to each bring a friend to the next meeting. So many children came that there wasn’t enough room in the house. So they went up on the roof instead. “What are you doing up there?” called a man from down on the street. The man was a teacher at the local school. Guylande explai- ned that the children wanted to learn to read and write. “But why are you sitting up here?” asked the man, and he gave Guylande the key to his school. “We only teach in the mornings. You can be there in the afternoons,” said the teacher. Guylande and the organization Zanmi Timoun seek out domestic slave children, street children and children in prison, and help them to obtain birth certificates and go to school. Guylande and her friends continued to study at university and also started teaching street children and children working as domestic slaves. Rumours of the afternoon school spread. Soon children who were already in school started coming because they needed help with their homework. Just like Guylande, many of the children coming to the afternoon school were from rural ar-eas. 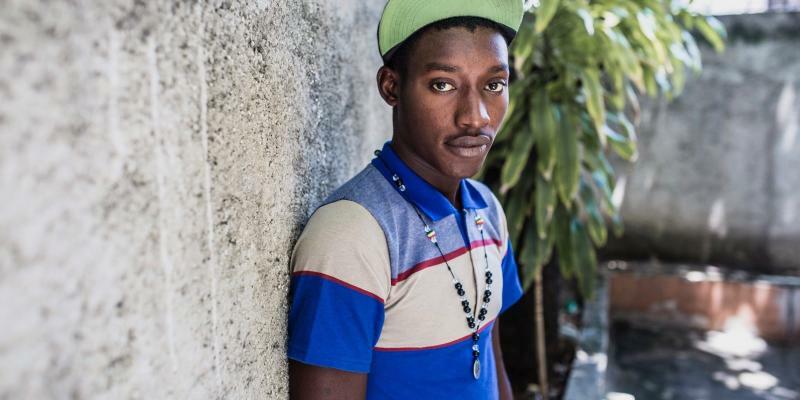 Their families had sent them to work in the cap­ital because there was no food at home. To stop children being sent away from home, Guylande and her friends decided to start working in two smaller towns as well. 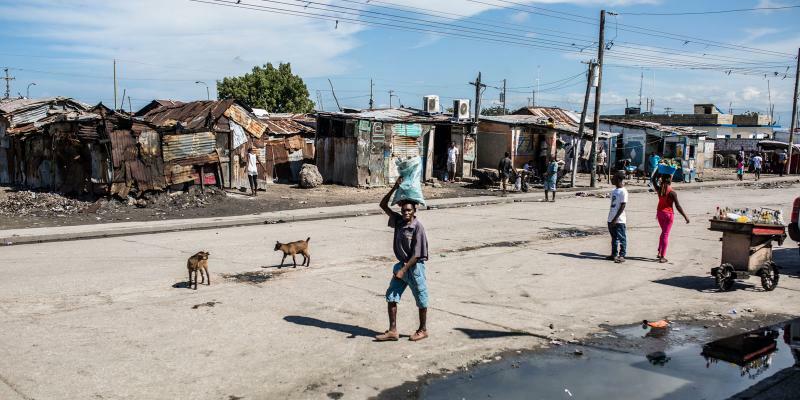 They educated poor families about the rights of the child and Haiti’s laws. “Children have to have a birth certificate so they have their own identity and can go to school,” explained Guylande. More and more people got to hear of their work and volunteered to help. People provided financial support, books, pens, clothes and school materials. And more children came who needed help. Finally, the little afternoon school wasn’t big enough anymore. Guylande and her friends decided to start their own school. Many of the children who came to the afternoon school were older and had missed the first years of school. 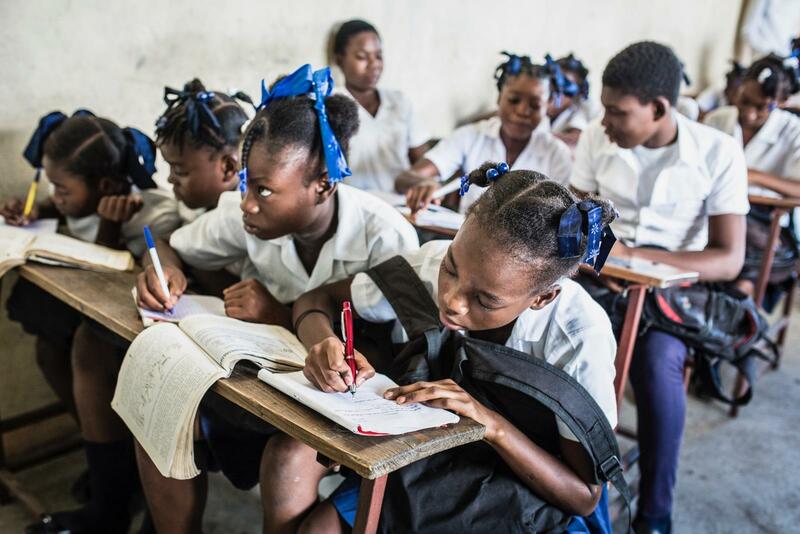 According to Haitian law, schools can only teach one grade per academic year. 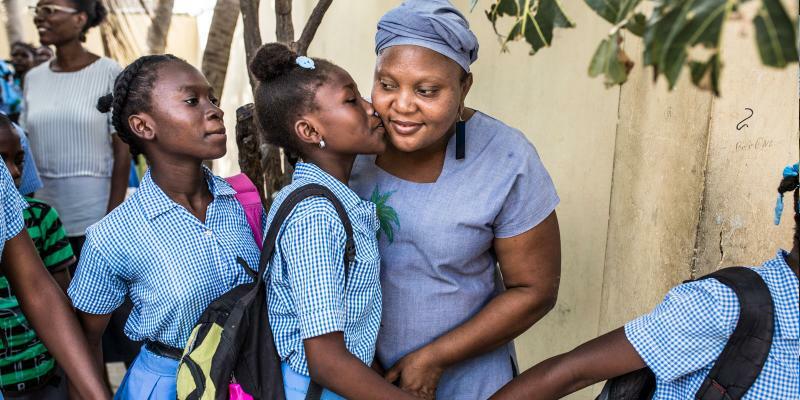 In 2007, Guylande managed to convince Haiti’s politicians that pupils at Zanmi Timoun’s school would be able to complete two grades in one academic year. So now they had their own school, but no name for their organization. They brought together all the vol-unteers and children for a big meeting. “Our organization needs a name,” said Guylande. “Zanmi Timoun,” suggested one child. Zanmi Timoun means ‘Children’s Friend’ in Creole, which is the language they speak in Hai-ti. Many thought it was a good idea. They registered the name, drew up a set of rules, convened an annual meeting and elected a board. This is what people with lots of money were asking for in order for them to support Zanmi Timoun. Funders also wanted to know what was the purpose of the organization. So Guylande and her friends wrote down what they wanted to do: work with children who were forced to work as domestic slaves, children in prison and children who had been the victims of violence and assault. 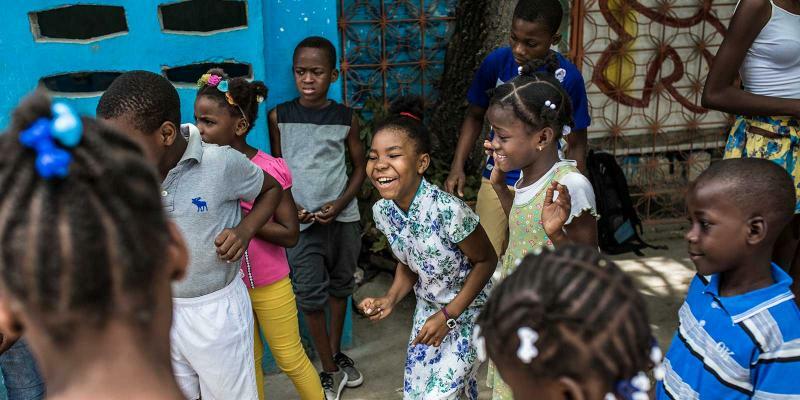 When Guylande and her friends needed a name for their organization, a young girl came up with a suggestion: “Children’s Friend”, Zanmi Timoun in Creole, and that’s what it became. On the afternoon of 12 January 2010, Haiti was struck by a powerful earthquake, with its epicentre just 25 kilometres from Port-au-Prince. It caused a huge amount of destruction. Tens of thousands of people died and hundreds of thousands were injured and made homeless. The earthquake forced hundreds of thousands of children onto the streets and into slave la-bour. Families who had lost everything sent their children away to other families, where they could get food in return for work. When the international aid organizations got through to Haiti, many of them wanted to help these children. Zanmi Timoun was promised millions of dollars in financial support for several years and was able to set up an office. Guylande was made director and for the first time she was able to earn a salary. She could employ not only the friends that had worked alongside her for free for nine years, but also social workers and psychologists, who could provide support to the children and their parents. Older children who were fed up with school or who couldn’t take their exams were given the opportunity to do apprenticeships in sewing, baking or mechanics. The extra resources not only enabled Guylande and Zanmi Timoun to help more children and their families; they were also able to start lobbying politicians. 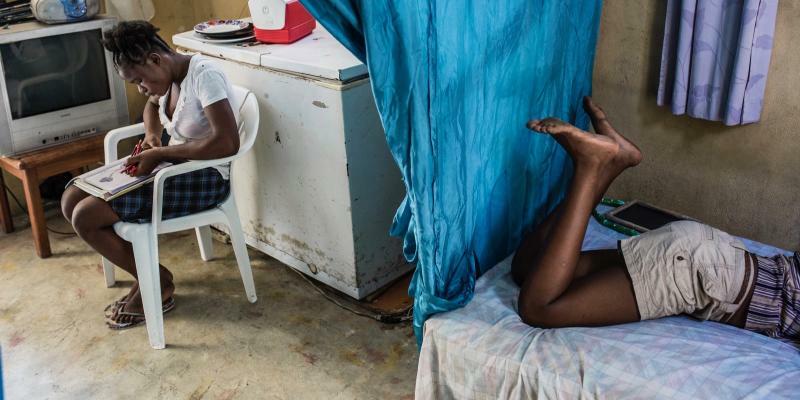 This led to Haiti adopting the UN Convention against trafficking, to combat slave labour and the sexual exploitation of women and children. 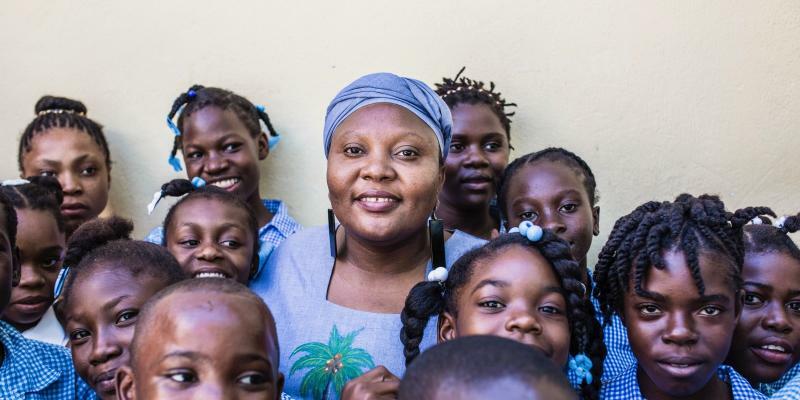 Four years later, Haiti adopted a national law against trafficking and child abuse. The president set up a special committee to ensure the law is obeyed. Guylande was chosen to be chairwoman of the committee! Many students at Zanmi Timoun’s schools are or have been domestic slaves, in prison or subjected to violations of their rights in some other way. Guylande together with Poulette, whom she helped to free from prison. Poulette was im-prisoned at the age of eight and not released until eight years later, even though she was totally innocent.